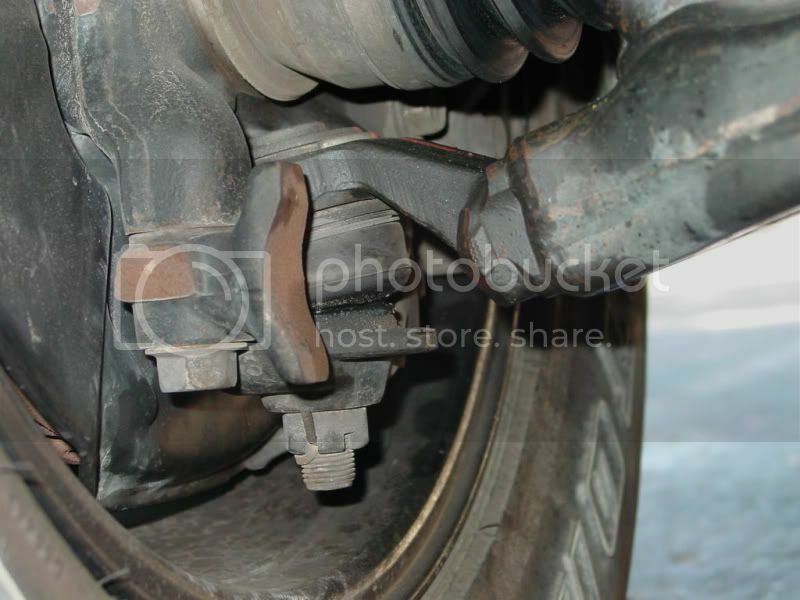 Busted Lower Ball Joint - Anyone been through this nightmare?? Should I hit the dealership or is there a site you con recommend? I'm coming from the Jeep world, so I new to this Yota stuff. They, say the are for 4runner, that is true, but they also work on early Seqoiua, and Tundra. Yeah, its an 02. Not many sites out there for the Sequoias. No problem. 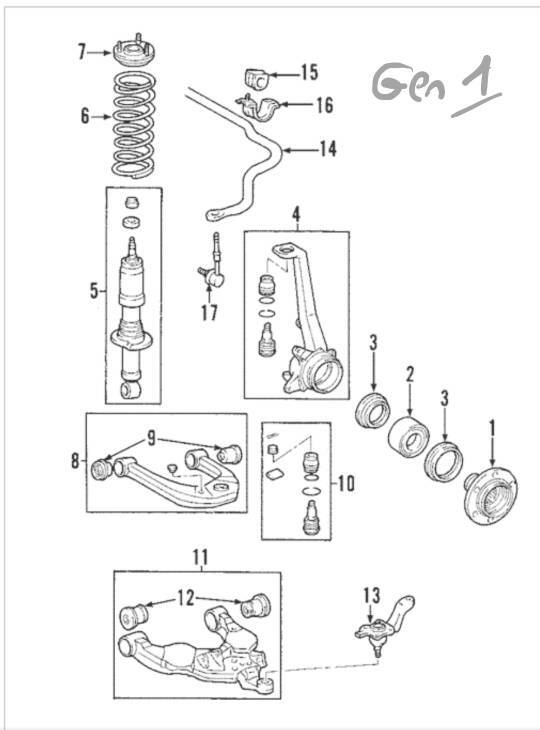 Ya, not alot for Seqoiua specifically, but 01-02 tundra, and 96-02 runner parts are the same. 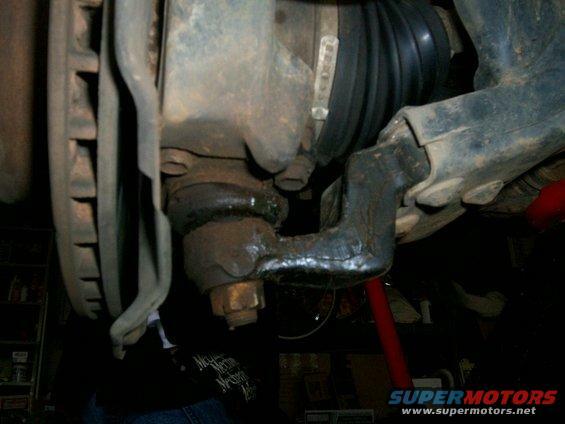 I've even see guys use certain Tacoma spindle that allows you to install Manual hubs. These are great rigs! You won't be disappointed. 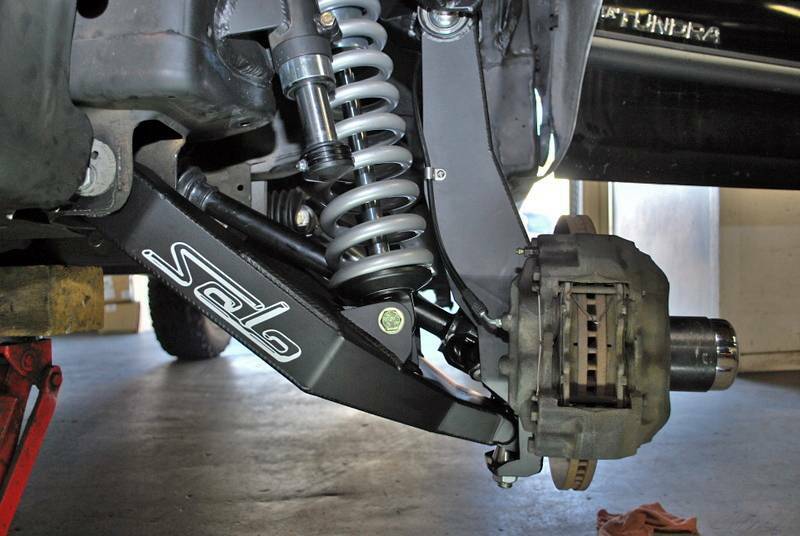 Also, if you plan on going off road a lot, your will need to install center diff lock switch, its a must! Yep! I already have that write up saved! I have lot to do to this thing to get it to my comfort. My 1997 Wrangler I built axles, tcase, and put a v8 in it. But I have a baby now, so I don't have time to trailer it to the places I crawl . So I plan on building the Seq to handle decent trails and still take the fam on road trips. So if you have any favorite mods or links feel free to shoot them my way! So this post and a few on some other forums have sufficiently scared the hell out of me. One of the first jobs I did when I bought this thing was to change all four ball joints, but now I'm concerned that even the new parts might not hold up. I went with Moog parts because of their reputation for building heavy duty, problem solver parts. Now I'm reading mixed reviews on the brand. Can anyone weigh in on whether or not the Moogs are acceptable replacement parts? I've heard of both OEM and Moog failures, so it really is just a design problem ultimately. I'm leaning heavily towards the Solo Motorsports solution. I just found out those guys are literally down the street from me, so I kinda have to go check them out now. I want to confidently drive this thing hard, and their parts look like what I need to do that. Does the 2004 provide a "failsafe" design where the arm just doesnt fall down? Could you take a photo of your setup in the front? I changed my LCA recently with OEM and was inspecting them and the brakes while I was outside chiseling out the rust in the frame, prepping it for rust conversion and rubberizer later this week...the drop cloth must have weighed 40lbs in rust flakes and metal chips. My 1995 Honda civic and 2006 rav4 don't even rust like this. Looks like Toyota only properly fixed the upper and lower control arms to provide a failsafe design in the 2008 and newer vehicles. 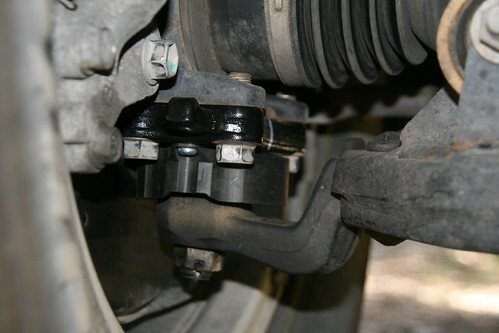 The balljoints are less likely to pop out due to the now inverted position. Posted photos to compare them..
my Moog parts didn't last 42k before needing replacement. no direct bolt-on failsafe replacements available. The best one can do is add redundancy and strength. I am about to look into something serious like what i just found on solomotorsports site. They are 17mm heads, (not sure of the actual bolt diameter) and yes they have a Square pattern. There was a redesign for the recall, but I cannot see a difference, with either of them torn apart. Might have been redesigned with a Grease fitting possibly, or tighter ball socket. As for the sankei. From my sources, they actually makes the OEM joints (reliable source, but not verified) In my opinion, they are all bound for failure because it was on engineering flaw on Toyota's part. They Obviously realized this and changed the design in 03, (starting with new chassis, LX470, and 4runner) followed by Tacoma, tundra, and sequoia as the new Generations were released. Would like to eventually make conversion kit to the newer style. perhaps with new lower arms, and a reversed Mount. I have seen on guy who cut up an old Ball joint, and welded in Johnny joint, then used a large bolt. Yes, this is True - Although, if engineered properly, the load would NOT be constantly trying to separate the control arm from the Spindle. If you look at the new Design, its almost impossible for them to separate. 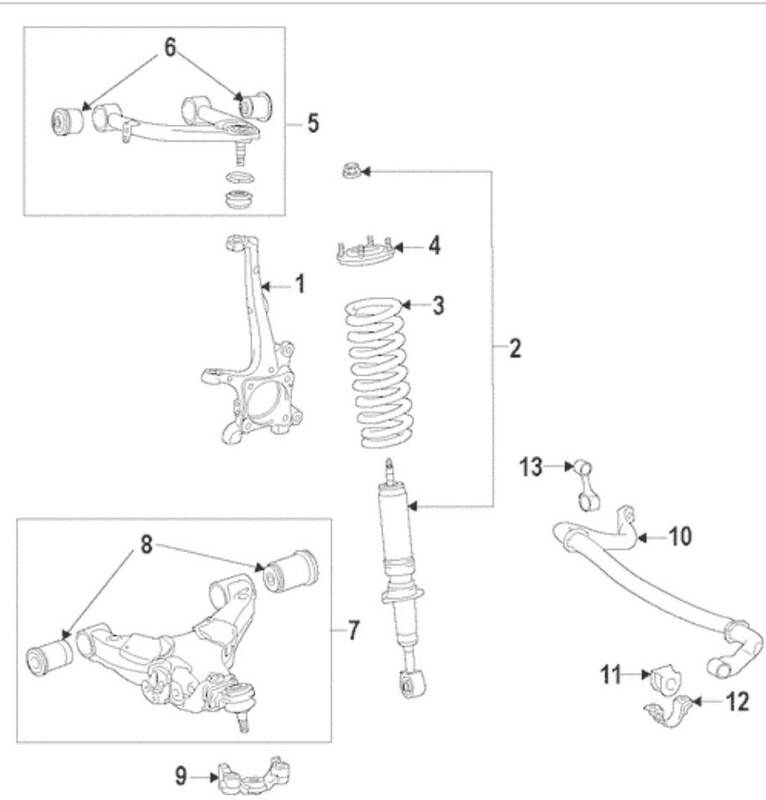 (they basically flipped the ball joint) as you can see, if the ball joint wears and fails, it will still remain connected to the hub. So my truck had the Revised design on it when i got it, i saw all the issues with failure so since i didn't know when they were last replaced i ordered new ones. But i didnt know that i had to order something other than the ones made for on 02 which is my year. I ended up receiving the Early design and im not satisfied at all with it. problem is i tossed the revised ones before i really noticed ( i know bonehead move) im trying to order the revised ones now but im not sure what part number or year. 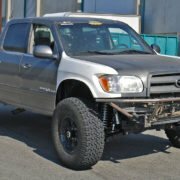 Just order the Sankei (555) from lowrangeoffroad.com they are the same as 96-02 4runner. I've had mine on for over a year, and to my surprise, they are holding up much better than expected. And they have gotten a LOT of use. So will they be the old or updated version? Those are the same Style. The original ones that failed so easy were defective, hence the recall. But they changed them with the same style, just upgraded internals to help prevent them from separating. And I think they did a good Job, as it seems to work on stock trucks. So buying them from dealer, you should be fine for a while. The Revised Joints have a larger Mounting surface, and use larger bolts, its square vs trapezoid mount) they will not fit on a early design. Like i said both of those images are my truck. so obviously they do have ones that fit because they were on there when i got it. I really prefer the ones on the right over the ones i have now on the right. I did not change Lower control arms or anything else when we swapped the LBJ's. The only difference is the Dust boot.. that's it. It may be confusing because I put new calipers on so the image with the red calipers is the newer ones I had installed and the other image with the factory looking calipers is what was on there before I had new LBJ's installed. The ones i have on now don't look they will hold up to the same abuse my old ones did but like i said i tossed em like a dummy. if i didn't have all the extra weight on my tree i wouldn't mind but i have plate bumpers 5th wheel, winch ect.